The World's Coloring (Colouring) Book Home Page! Our Coloring Books are made in the U.S.A. since 1988. Customer Satisfaction - Quality Products - 100% USA Made - Union Printing Available! We create custom coloring books and adult coloring books. Really Big Coloring Books® provides American Manufacturing Jobs. 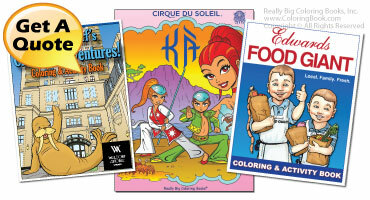 ColoringBook.com offers a wide selection of kids coloring books in a variety of sizes, subjects and themes. Browse each coloring book line by clicking the picture above. View all of our retail coloring books here. 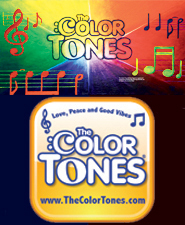 You choose the topic and we will develop your custom coloring books! 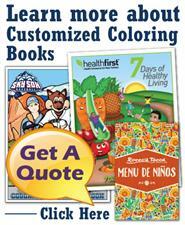 We can help your group, organization or company promote, publish and even sell custom coloring books! Choose your imprintable coloring book title here! This is a great way of gaining new business. 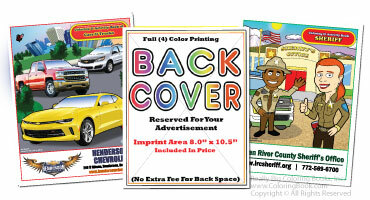 Place your logo, hours, location on the front and back cover of your coloring books pages in FULL COLOR! Crayon Products for your Books! 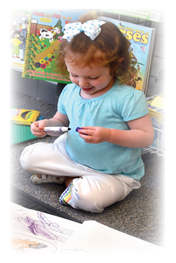 Choose from a variety of crayons, colored pencils or markers. What good is a great coloring book if you do not have the instruments to color them in with? Available in bulk pricing as well! Crayola Brand Crayons are available! 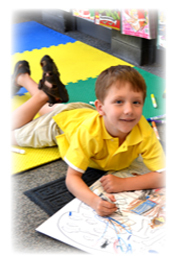 We own the credentials in the manufacturing process and create coloring books from start to finish. Images & Text © Copyrighted 2007 - 2019 All Rights Reserved - Really Big Coloring Books ® , Inc.
No part of this website may be reproduced in any form by mechanical or electronic means, including storage retrieval systems, except in cases of critical reviews or articles, without written permission of publisher.